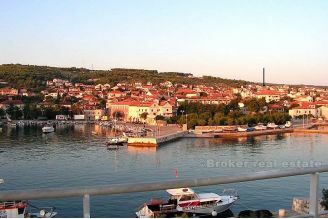 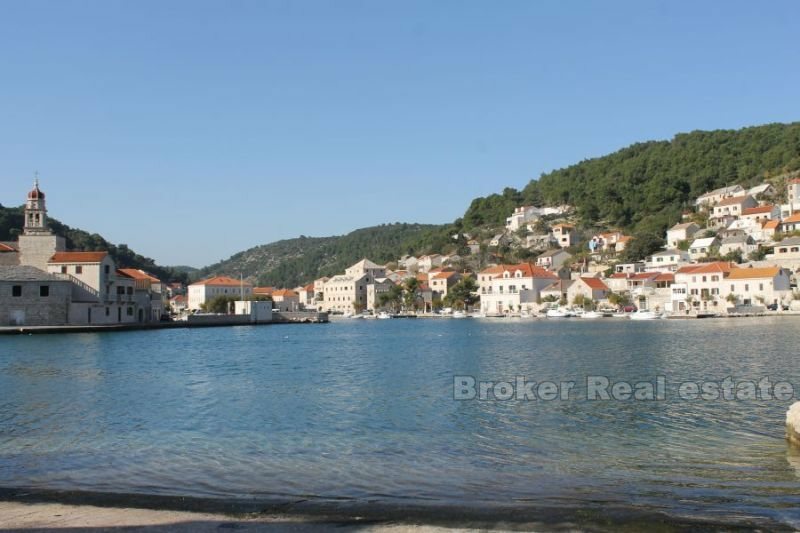 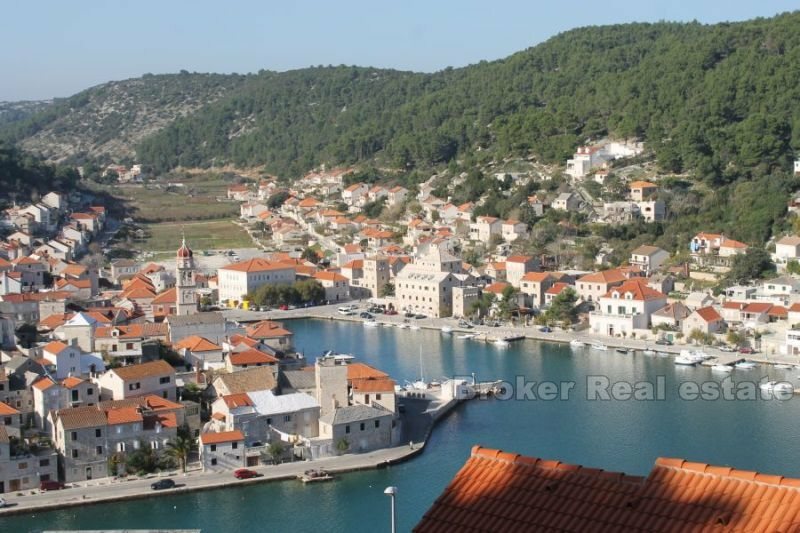 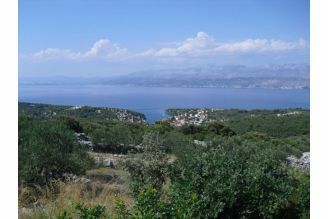 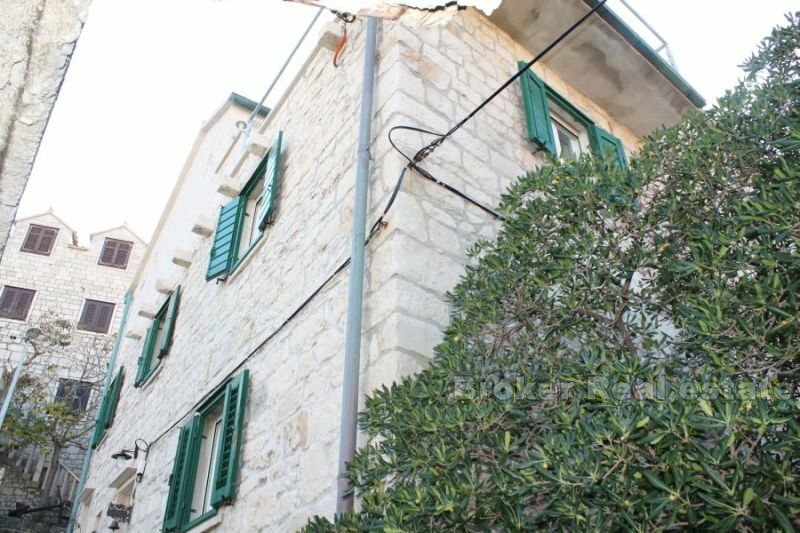 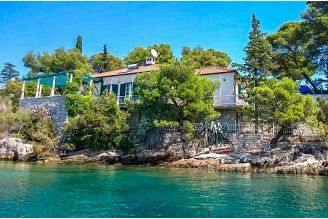 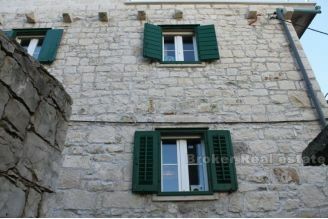 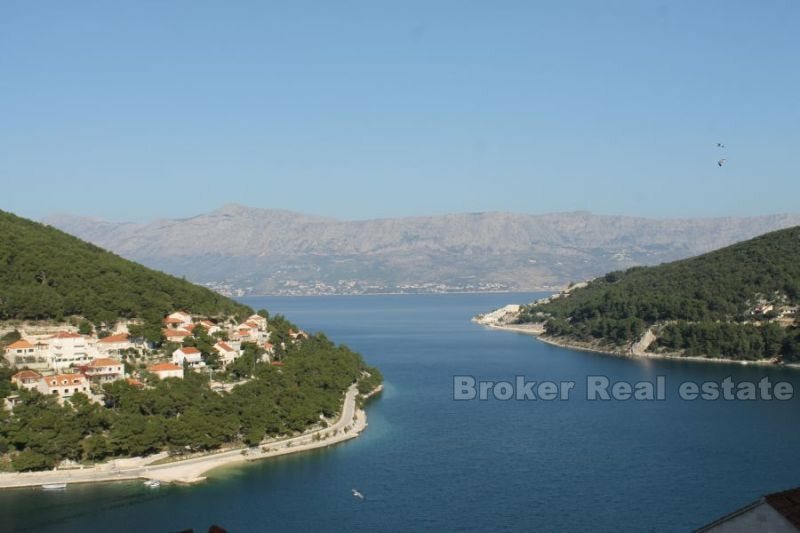 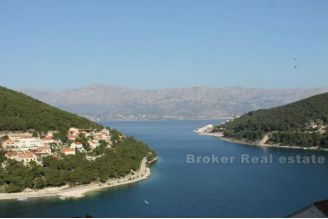 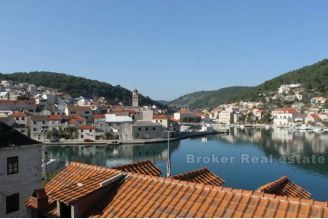 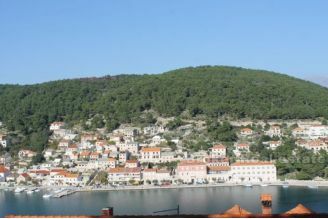 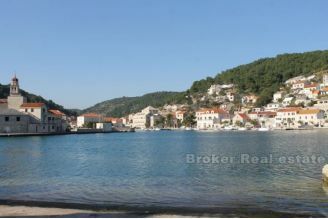 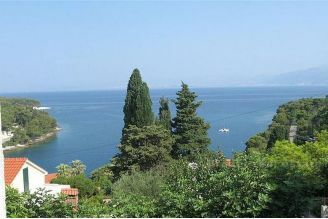 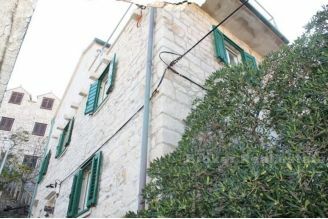 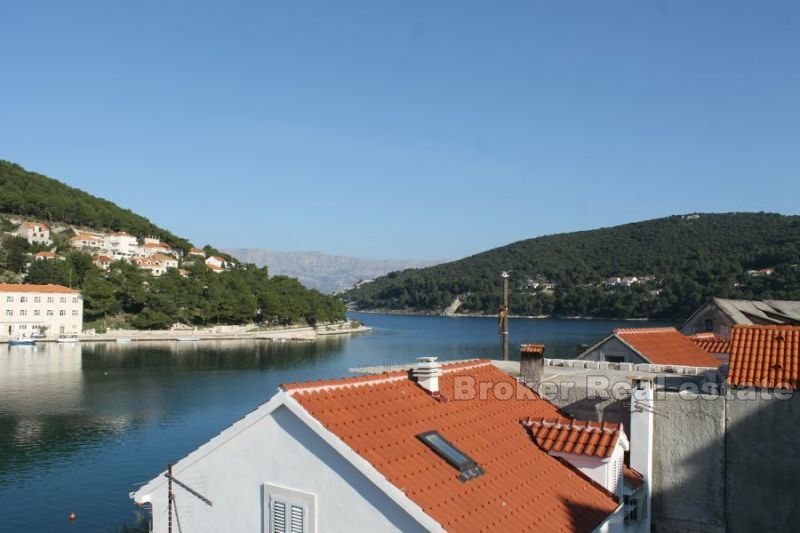 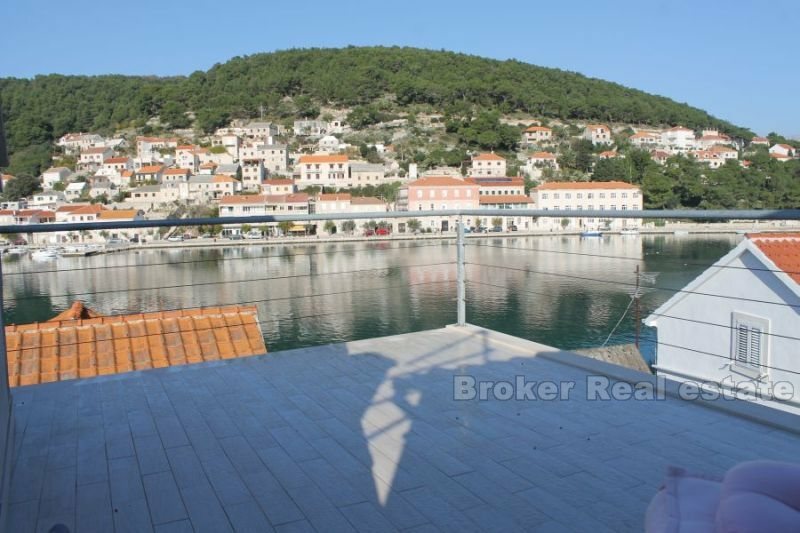 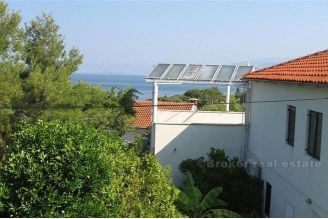 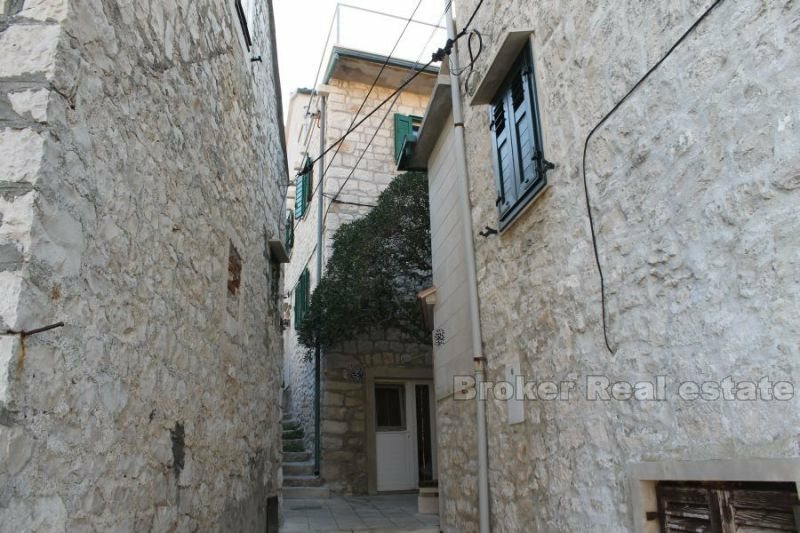 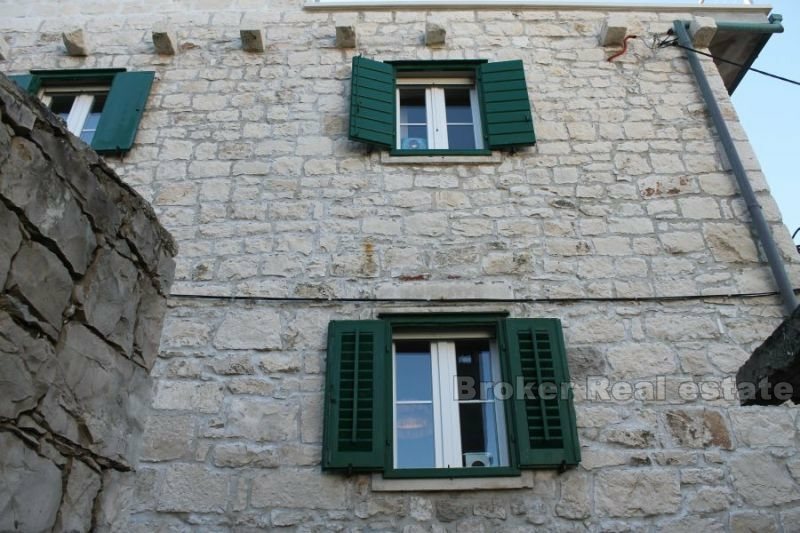 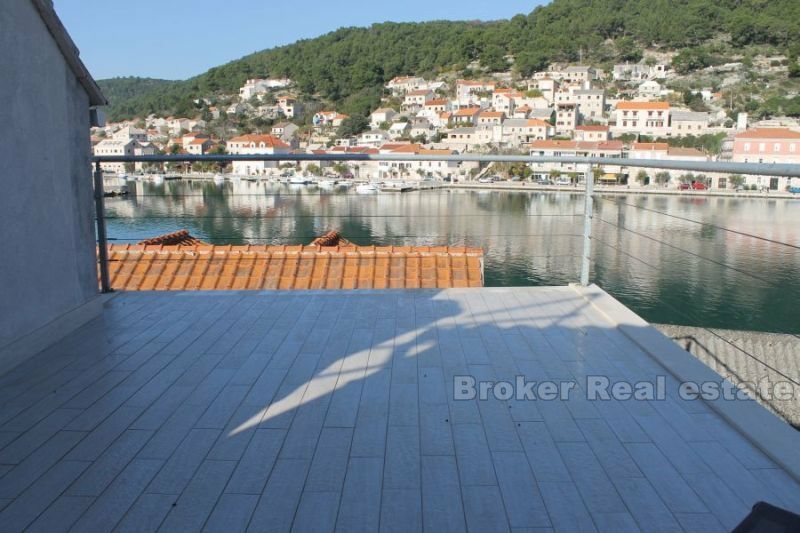 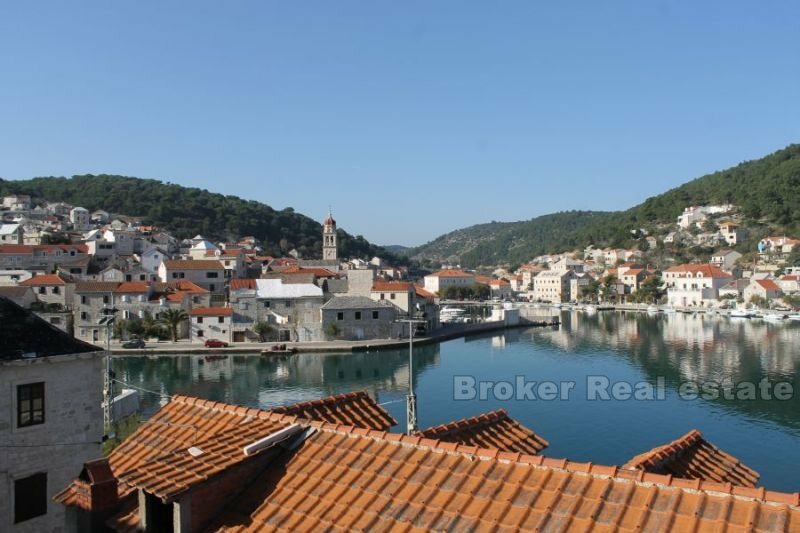 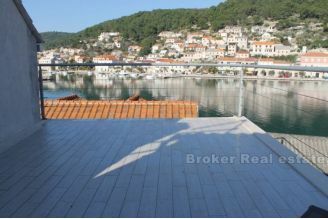 The house on the island of Brac, on three floors, living area of 100 m2 with 20 m2 terrace. Completely renovated (except the floor in the kitchen and a toilet on the floor) and decorated. 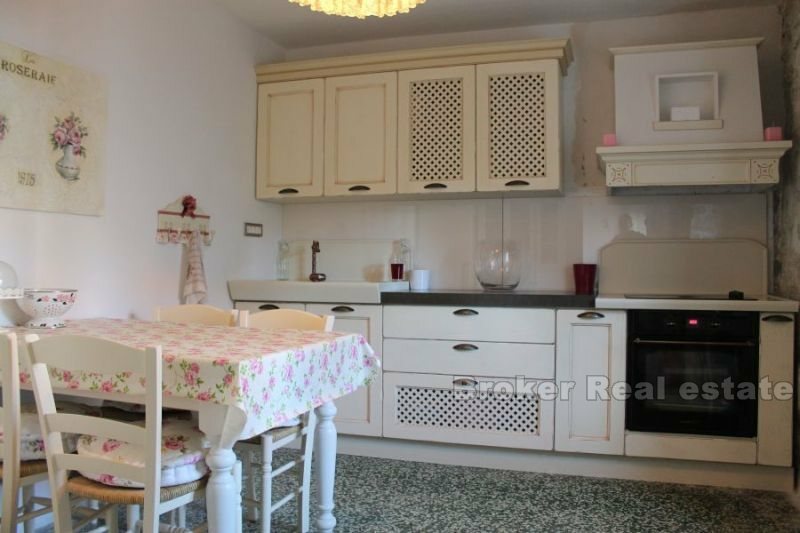 The ground floor has a kitchen, dining room and bathroom with shower. 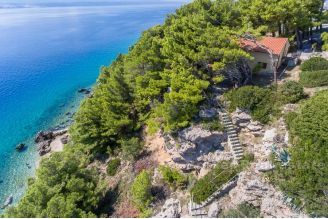 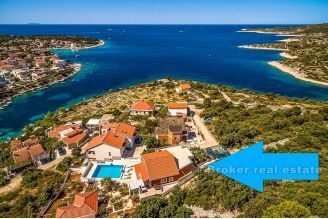 On the first floor there are two bedrooms and a bathroom, while the second floor is located living room with an exit to a spacious terrace with a beautiful view of the sea and Pučišća. 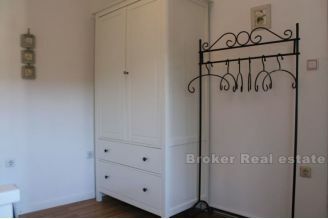 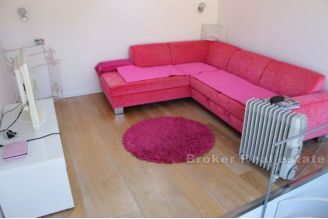 The price includes a storage room which is located near the entrance to the house. 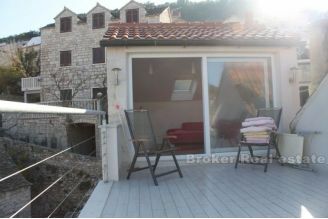 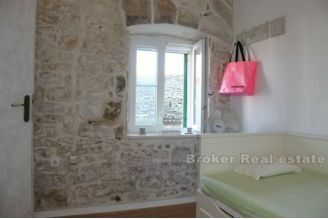 The house is only ten meters from the sea, in a typical Dalmatian stone ambience.